The Brighton Belle was famous for its kippers. Laurence Olivier would take a leisurely breakfast back to his home in Ashurst in Sussex on the train after a West End triumph, reading the theatre reviews. 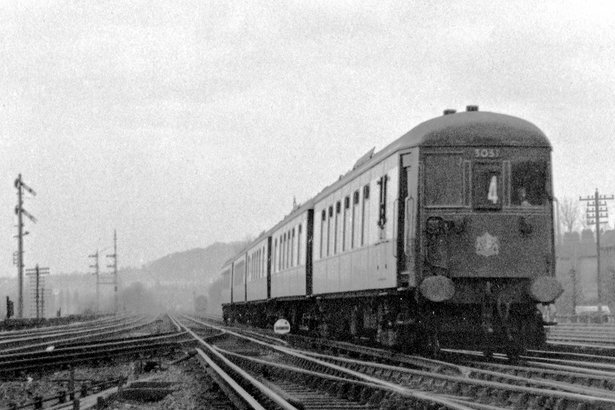 The train began life in June 1934 and most of the brown and cream Pullman carriages – the only electric Pullman carriages in the world – survived the war, holed up in the Crystal Palace High Level Station, now a housing estate. The Brighton Belle only took an hour to go the 51 miles from Victoria to Brighton, and it left every day at noon, pulling into the seaside at one o‟clock on the dot. Along with the Golden Arrow boat train to Paris, it was the jewel in the crown of the old Southern Railways. It lasted until the 1970s. Southern’s successors have not managed to keep up the reputation for luxury. The other difference is that the old Southern Railways used to go as far as Cornwall, operating out of the biggest and most complex of all the London railway terminals, at Waterloo. It also had a reputation for extreme efficiency, which none of the other Big Four railway companies, operating from 1923 to 1948, managed to attain. The success was partly the triumph of a great railway leader, Sir Herbert Walker, and the journalist J. B. Elliot who took over from him and who masterminded Southern‟s distinctive advertising (the little boy looking up at the train driver in his cab is still with us). It was Walker who managed to forge all the companies that made up Southern into one unit, symbolised by smashing a whole between the two parallel stations at Victoria. He also gave all Southern staff one uniform, including a distinctive red tie which doubled as a flag to pull off and wave, like Bobbie in The Railway Children, in train emergencies. Within three years of their launch, Southern faced their own industrial action when their staff walked out in 1926 in the General Strike. On the final day, Walker announced that he was reinstating his workforce. In return, the rail unions promised not to strike again without negotiations first. Southern handed over to British Rail in 1948 with its reputation intact, its ferries still sailing and its kippers still on the menu. It really is extraordinary how such a reputation could have so disappeared, as I explain in my book Cancelled! You could understand why those who might have remembered Southern in private hands, as it was from 1923 to 1948, and its amazing reputation for efficiency, might have been optimistic that the new privatisation. So why is it now apparently impossible for a private operator to run an effective service? I suffered South West Trains’ service from Salisbury to London two days running this week, and it was pretty appalling. I’ve been forced to the conclusion that the Southern ‘disease’ now infects most of the network. It is an extractive mindset – Southern’s main owners, the Go-Ahead Group have a target that they must earn from each of its transport operations. They only get to keep3 per cent of the ticket takings, so this must come from elsewhere. It is governed by ‘commercial confidentiality’, so we don’t know what that figure is. It is a Treasury mindset. The whole purpose of rail privatisation was to get the railways out of the Treasury’s death grip. But under current centralised and monopolistic arrangements, the Treasury is the client not the passengers. Which is why I overheard a driver yesterday urging the guard to lock the laggards in at Waterloo (“They get out pretty sharpish then,” he said.). It is a management consultancy mindset. It is comparatively inexpensive to keep the railways toddling along, missing deadlines and connections and stations, trailing in late morning after morning – at least it is compared with the effort and investment required to build a reputation for punctuality. I don’t know if that is the advice they have received from consultants – rather as McKinsey advised Railtrack to sweat their assets – but I wouldn’t mind betting that is the way they think. It is a pity, but there it is. The whole purpose of privatisation was to hand over the railways to passengers, but actually it is managed to hand them over to the accountants.